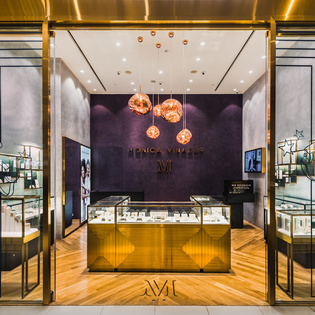 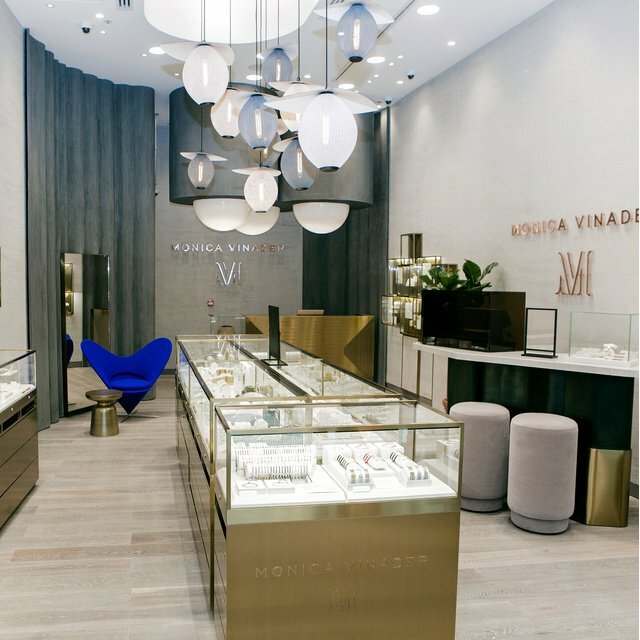 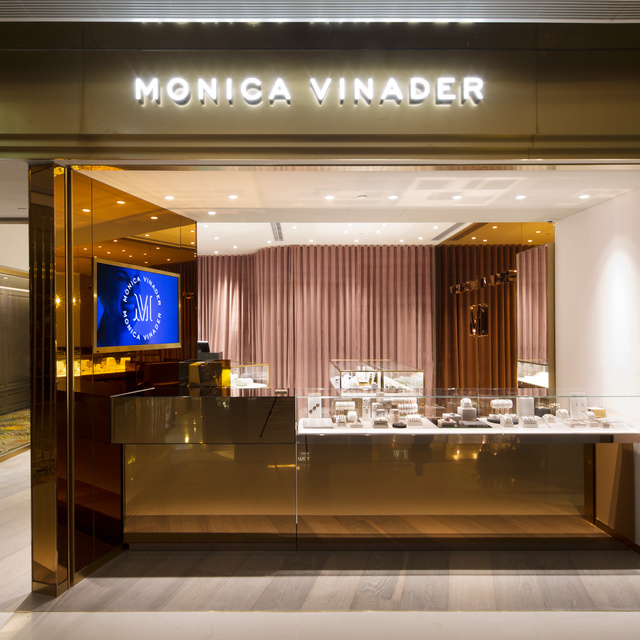 Tell your love story with Monica Vinader and give your chosen one a gift they'll treasure this Valentine's. 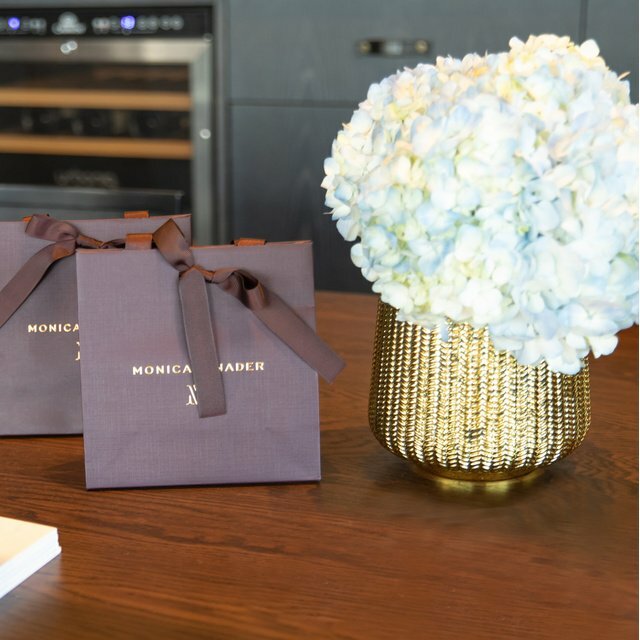 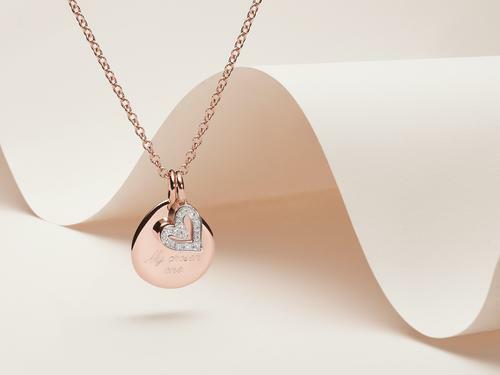 Discover our gifting ideas and complimentary engraving service to help you create a something filled with precious memories. 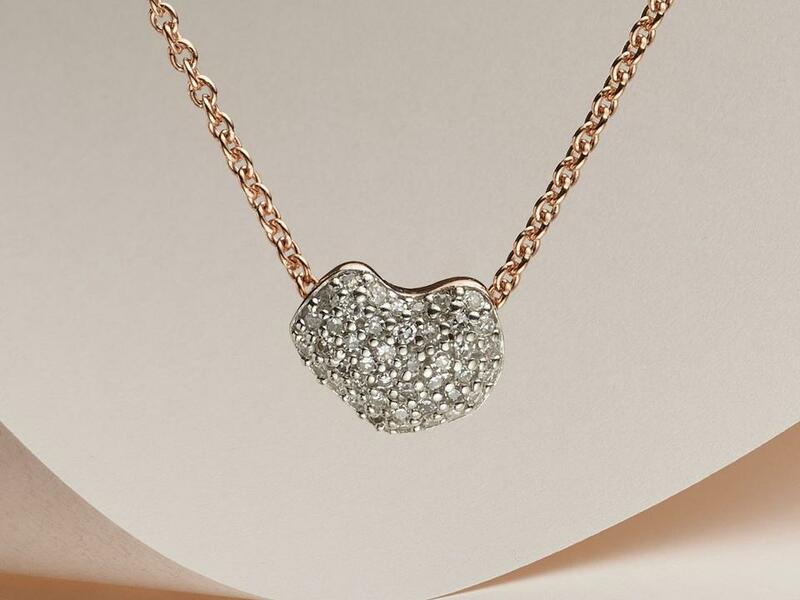 Diamonds at the ready; our diamond Alphabet Heart pendant and Nura collection stacked. 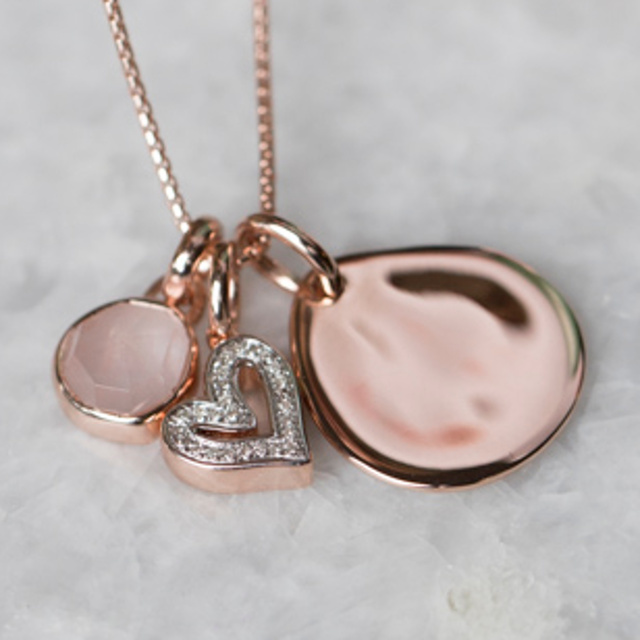 Stack and style our new diamond Alphabet Heart pendant with Alphabet letters and siren gemstones. 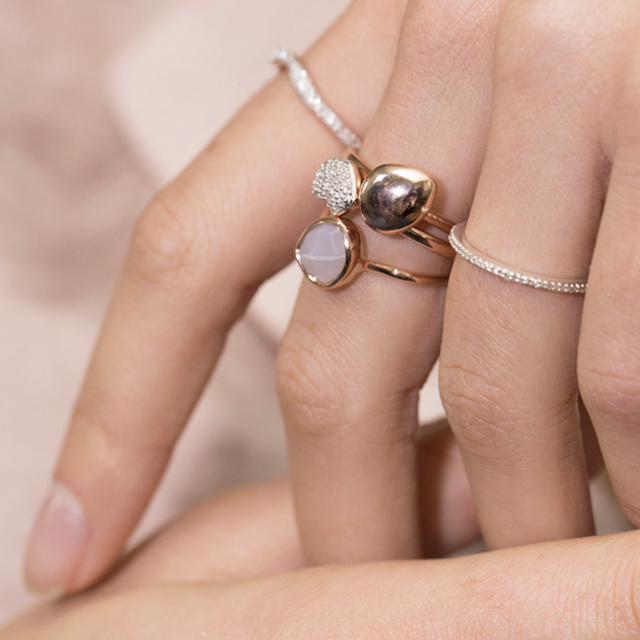 Say it with diamonds this Valentine's with our Nura heart collection, featuring simplified and organic pieces covered in pavé diamonds and inspired by sea-tumbled pebbles Monica found on a beach in the Mediterranean. 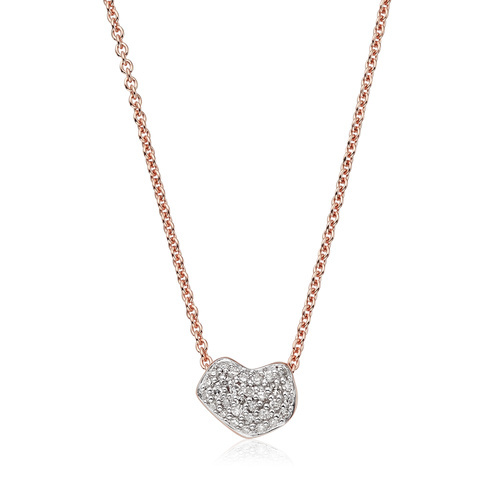 This delicate Nura heart necklace is perfect for layering with the plain engravable pendants and diamond Riva pendants for an on trend look this Valentine's. 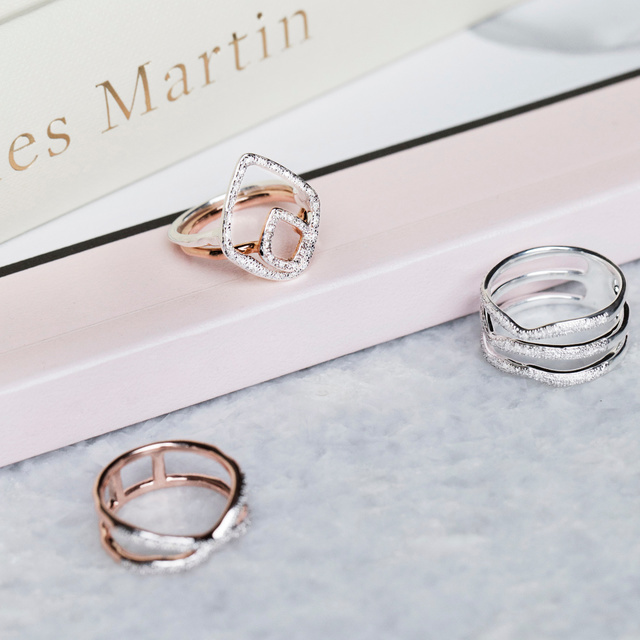 The Riva diamond ring family. 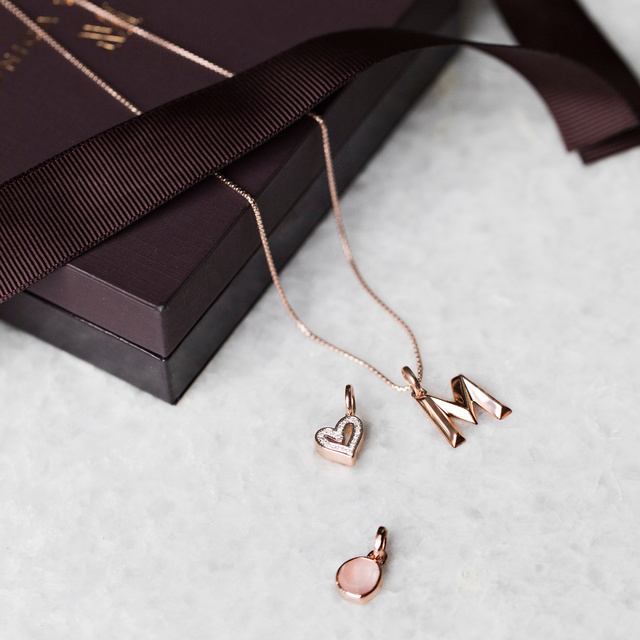 Perfect your Valentine's Day look by adding the new Alphabet Heart pendant to your current jewellery collection, style with complimenting Siren gemstone and Riva diamond rings to take your look from day to evening. 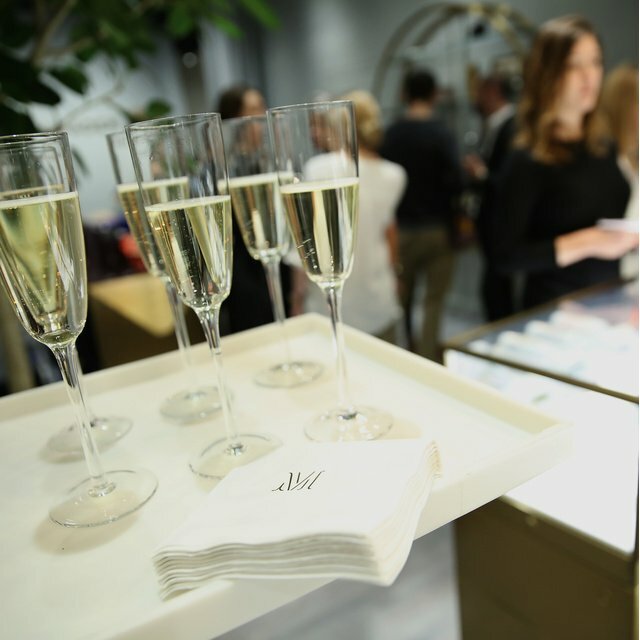 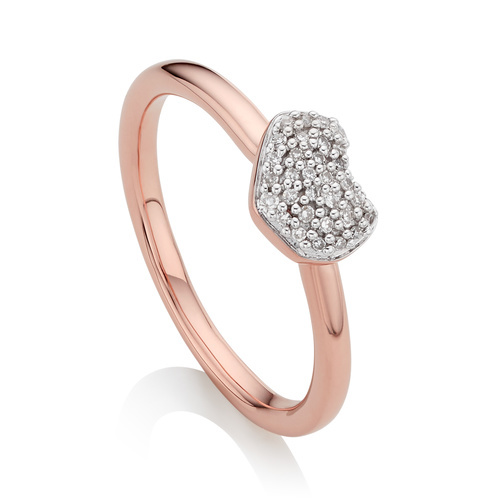 Don't forget to personalise your chosen gift using our complimentary engraving service. 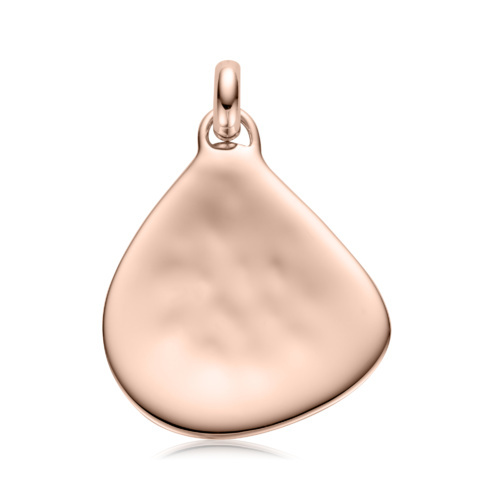 Engrave a pendant with a message, date or even a hand-drawn doodle online or in store while you wait. The Alphabet Heart pendant is available now in-store and online. 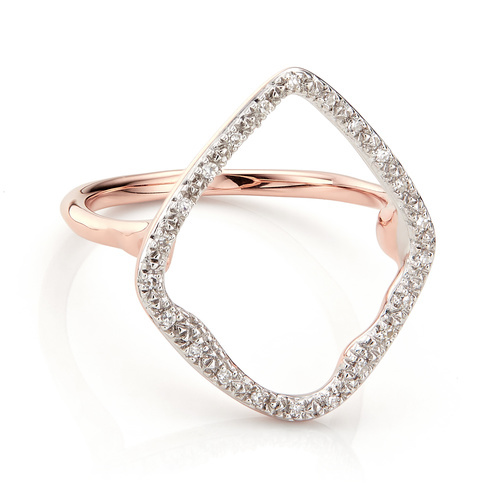 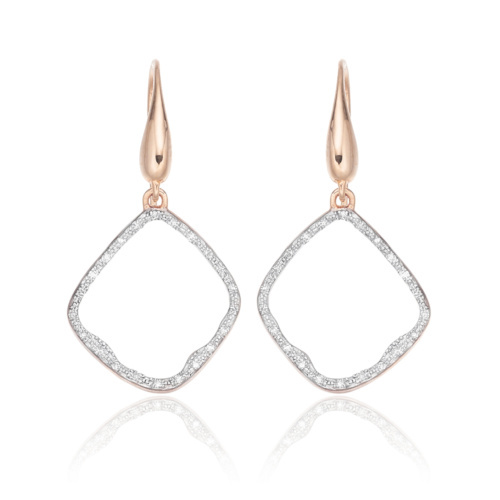 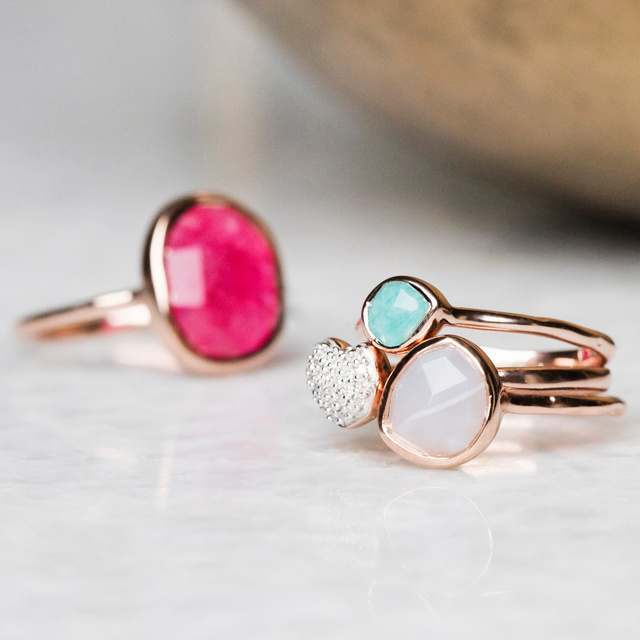 Choose from either Sterling Silver, 18ct Yellow and Rose Gold Vermeil set with ethically-sourced pavé set diamonds. 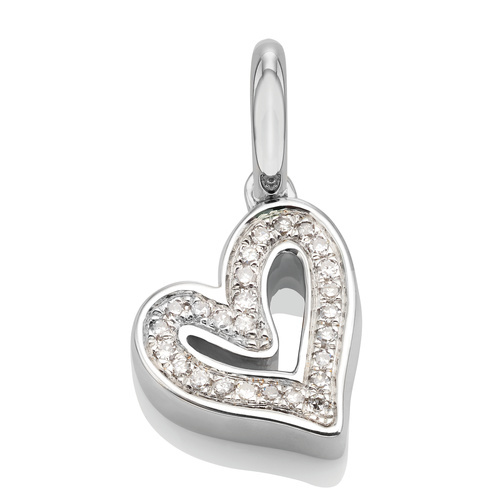 Discover our gift guide for effortless gifting this Valentine's.